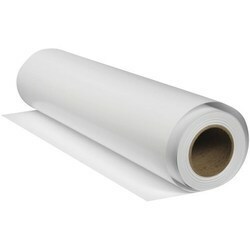 Glassine poly tubing is used for enclosing rolled posters or other products. The measurement represents the flat width of the tube, not the diameter after being filled. Super white glassine is a higher version of glassine paper which has higher transparency, smoothness, gloss and oil hold out as compared to the glassine paper. This has better oil resistance and gives better print quality. Our range of OLB glassine poly paper is ideally used for strip packing of pharmaceutical tablets, and sachets for the packing of sugar, salt, pepper, tea, detergent powder, etc. 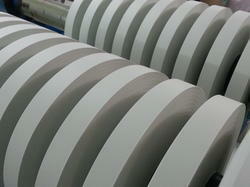 We offer printed as well as plain glassine paper reels that are ideally suited for automatic packing machines.